Evening Standard revealed that Modric told him to make a move to London and gave him some details about the premier league. Kovacic moved from Inter Milan in 2015 and has developed a close relationship with his national team captain Modric. He failed to cement a regular spot in the Madrid midfield fallen behind the pecking order of Kroos, Casemeiro and Modric. The 25 year old had spoken earlier in the season of his desire to move to a club that would give him more playing time. Kovacic also expressed his desire to play alongside fellow new signingJorginho and wants to impress new boss Maurizio Sarri. ‘He said the Premier League will be tough in the beginning but he said it is a nice League, the stadiums are always full and I will enjoy it. 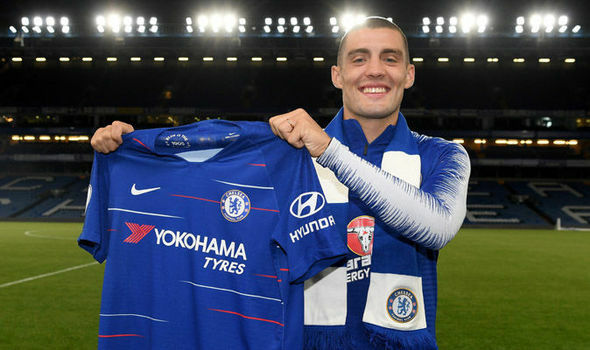 Kovacic would need to hit the ground running if he is to make the first team with the likes of Fabregas, Loftus-Cheek, and Ross Barkley vying for the last midfield position. Chelsea made three signings this summer bring Kepa Arrizabalaga for a record fee of £72 million and Napoli midfielder Jorginho £57million. The Blues begin their premier league campaign against Huddersfield on Saturday as Sarri begins his debut as Chelsea manager.